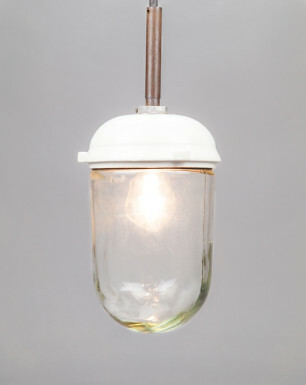 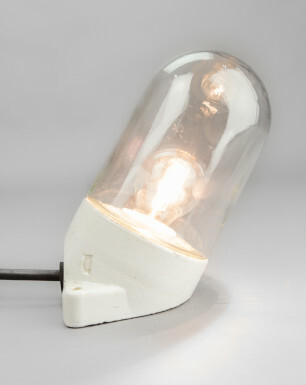 This discrete, yet sophisticated lamp should be considered the pendant kid-brother of the True Oyster. 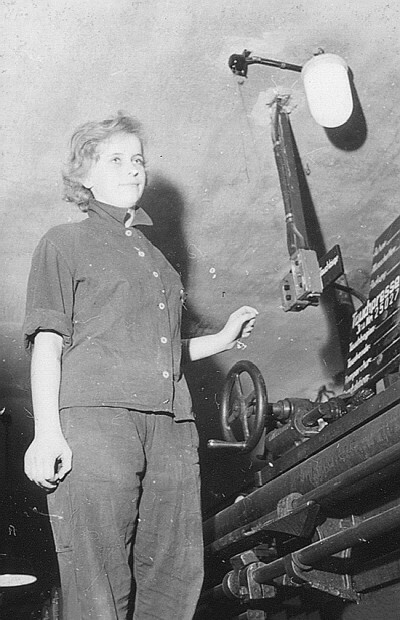 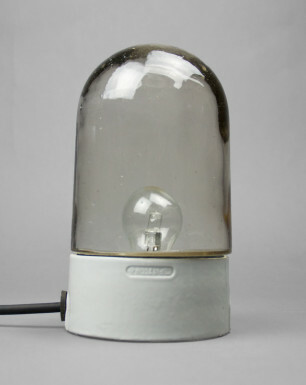 Its pure and timeless design was strongly influenced by the Bauhaus-movement. 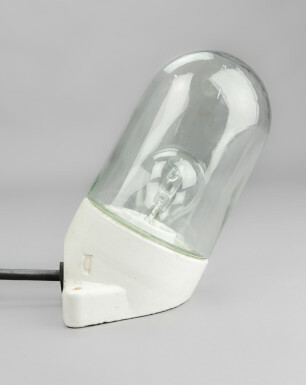 These lamps were produced by various East German manufacturers since the 1920s, and were often used in the basements or military barracks. 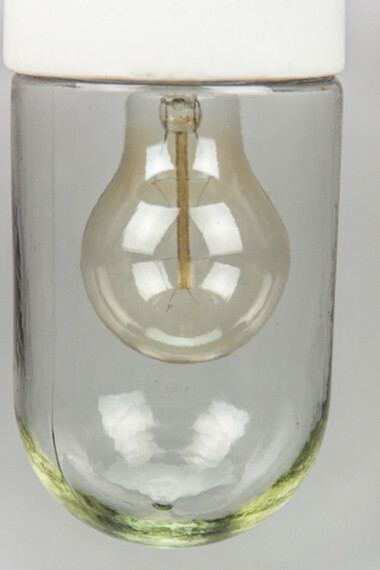 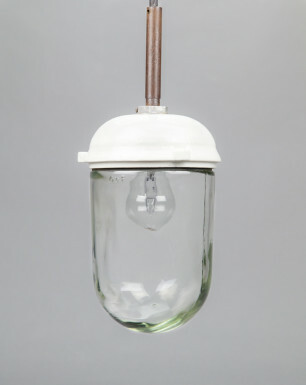 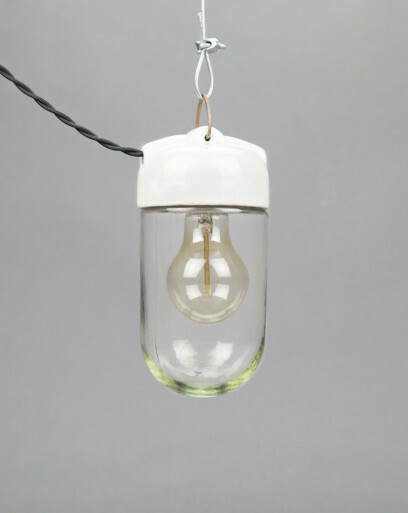 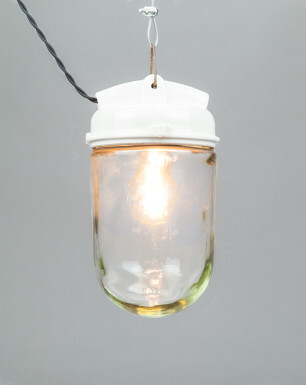 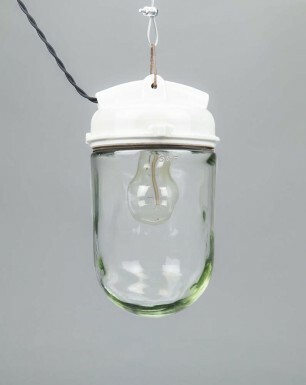 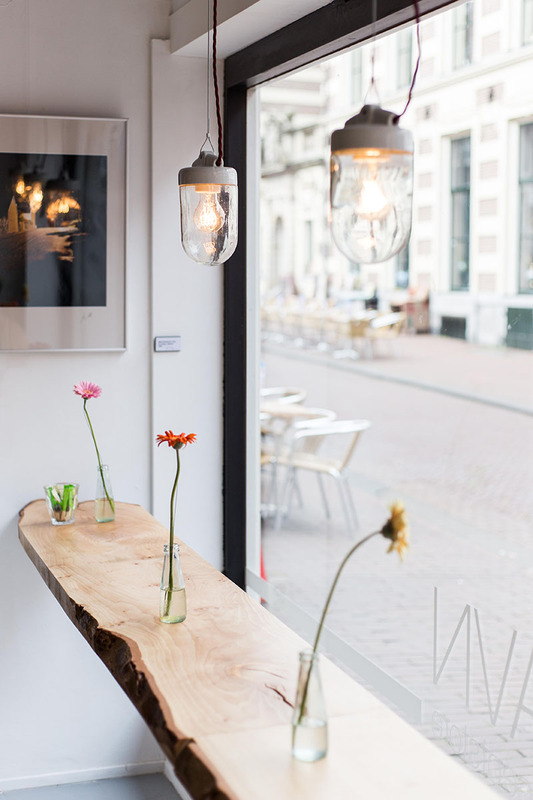 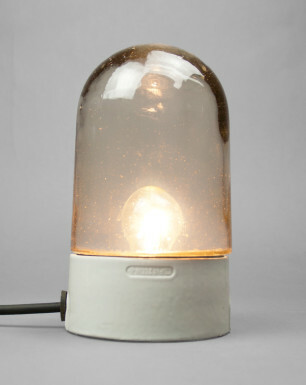 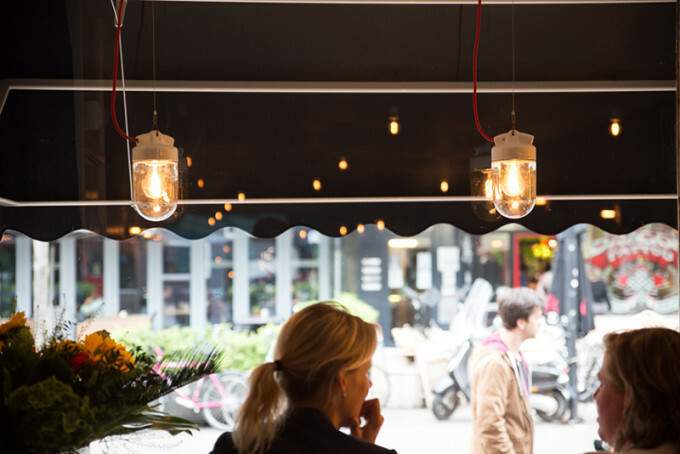 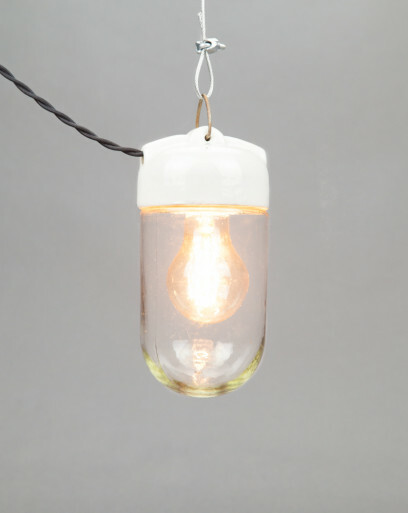 The base includes a porcelain E27 socket, and the hand-blown glass dome creates an very special lighting effect. 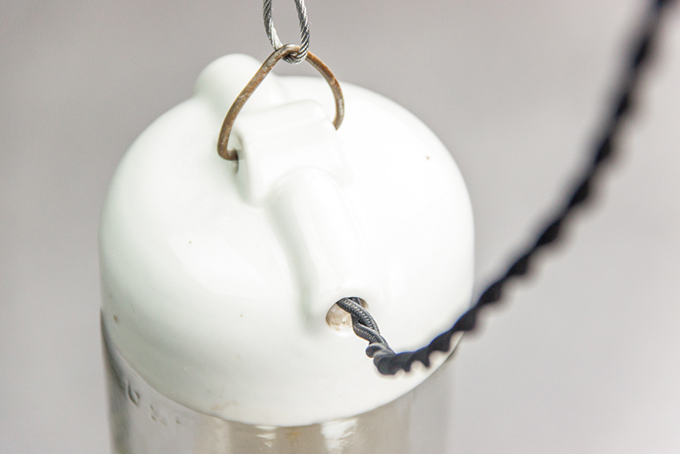 This Baby Mussel originates from a small military complex north of the German capital Berlin. 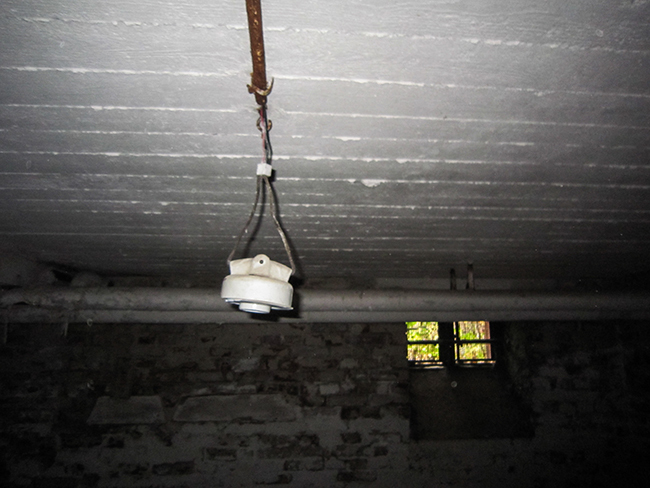 Together with several other ‘Mussel types’, they were hanging from the ceilings in the barracks of the complex, that were the soldiers accommodations. 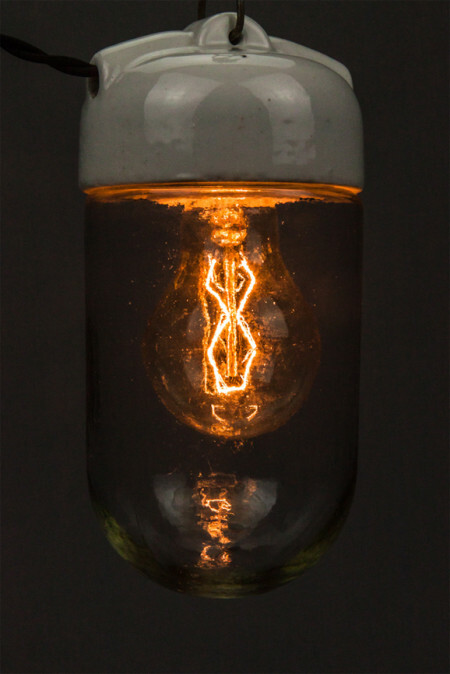 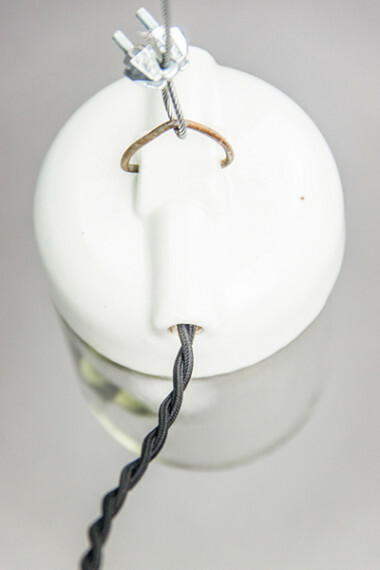 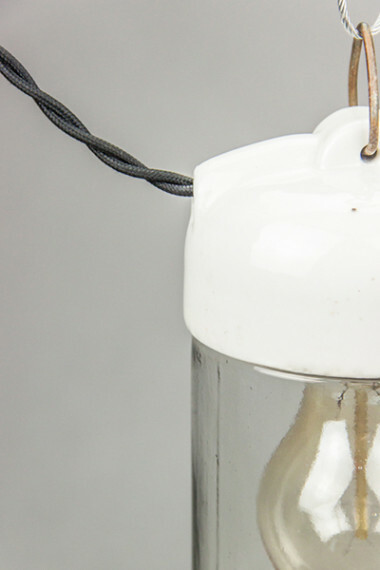 This item comes with a beautiful 42 watt Deco-bulb E27 bulb, a 1,5 meter twisted black textile cable, and its passport describing the history and origin of the lamp.